Patients looking for a surgeon with technical excellence, an artistic touch, and an office where warmth and personal attention are a priority will feel comfortable with Dr. Gregg Anigian. He understands the critical difference between change and improvement in plastic surgery and pays strict attention to detail so that every patient may enjoy an enhancement that appears and feels natural. Dr. Anigian is board certified by the American Board of Plastic Surgery, a member of the American Society of Aesthetic Plastic Surgery, American Society of Plastic Surgeons, and Texas Board of Plastic Surgery. He is also a fellow of the American College of Surgeons. We are pleased to offer a wide range of cosmetic and reconstructive surgical solutions for men and women of all ages. Specializing in procedures for the face, breast and body. 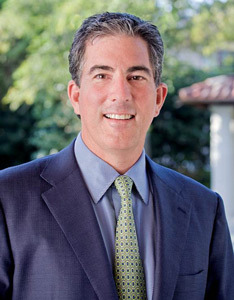 Read More About Gregg M. Anigian, M.D.